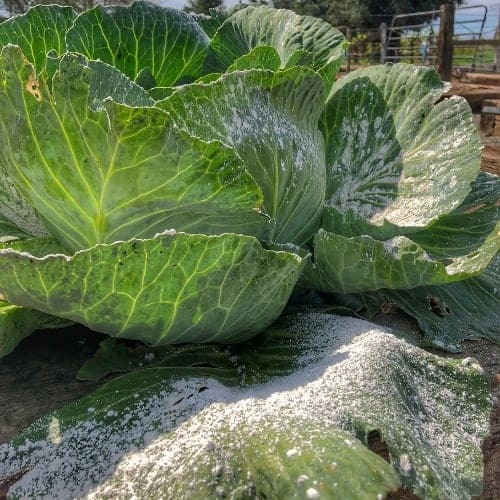 If you’re looking for a simple, effective, and natural way to kill pests in your garden, diatomaceous earth will be your new best friend! You know, I’m not sure if there is anything that will make you want to rip out your entire garden more than pests everywhere! One day your plants will all be beautiful and pest free and then practically overnight they can become infested! It is so frustrating and honestly a little heartbreaking. You put all the time and effort into growing healthy plants and then bugs come in and take over. Then when you start trying to find solutions it can get overwhelming. Most home gardeners would prefer not to use chemical pesticides on their vegetable plants and so then you’re limited to finding an effective organic solution. 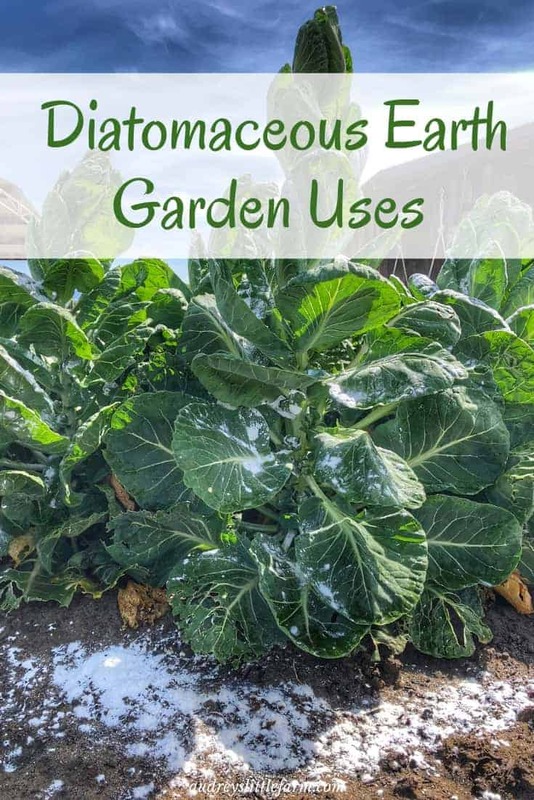 Well thankfully I have learned about the many diatomaceous earth garden uses and they work great! DE is a chalk like powder made up of the fossilized remains of tiny aquatic organisms called diatoms. Their skeletons are made of a natural substance called silica. The silicon particles have microscopic sharp edges which are abrasive to the bugs by cutting them up and then drying them out. This is then how the diatomaceous earth kills the bugs. The number one use for DE in the garden is for pest control. But it can also help in other ways such as deterring rodents, increasing drainage in potting soil, and deodorizing bad smells. So lets start with insect control because that’s always going to be a naturally occurring problem in the garden. At some point or another your garden has likely been affected by these little pests. 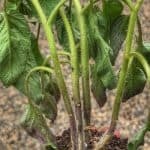 In my garden I have the most trouble with aphids, ants, and slugs and I know first hand that DE has helped the problem. Wherever you have pests is where you need to apply DE. So if you see bugs on the leaves of your plants you should sprinkle the DE directly on the plant. A trick to making the DE stick is to spray your plants down first with water and then sprinkle on the DE. Make sure that you don’t wash off the DE after application though. If you get a rain or you water from above the plants you will likely wash off the diatomaceous earth and will need to reapply. You should also pour the diatomaceous earth around the base of your plants. This is especially useful for killing slugs. As the slugs crawl through the DE to get to your plants they will come in contact and then shortly after die. A hack for making sprinkling the DE easier is to use a large shaker such as a handheld spreader which will help to distribute it more evenly. 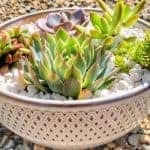 You can also make something similar by poking holes in the lid of a plastic container and so the DE will evenly shake out and spread over your plants. The great thing about DE is that it is completely safe and so you can apply as often as needed. If it gets washed off of your plants then you will have to reapply it for it to be effective because it only kills insects when they come in contact with it. Anytime you are using DE you should be sure to buy food grade diatomaceous earth. It should be easy to find in stores such as Home Depot and Tractor Supply but if not it is available on Amazon. Even though you are applying the DE to your plants, food grade DE will ensure that you are safe if you consume any. In fact, DE actually has a ton of benefits for humans. 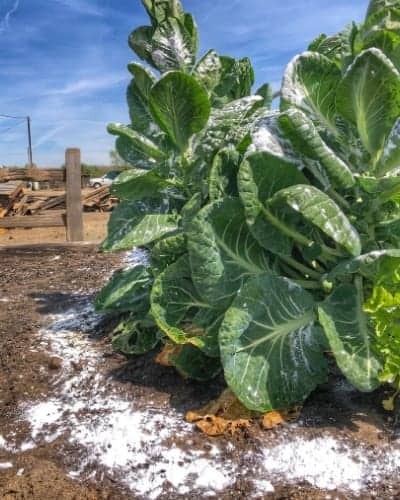 So when I sprinkle it on my vegetable plants I never have worry about washing it all off before eating the vegetables. As mentioned earlier, DE most commonly is used for killing insects but there are many other great uses for it. DE will mask and remove odors and so you can spread it anywhere that you want to remove odors from. Such places may be areas where your pets take their potty breaks. 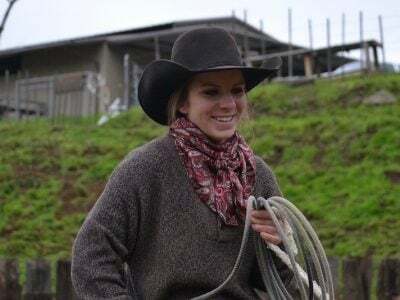 Around horse, cattle, goat, and pig pens. Or maybe even a compost pile that’s starting to smell. No matter what odor you’re trying to get rid of, DE can be a great solution. As mentioned above, DE is great at helping to eliminate odors so sprinkling it all over your compost pile will help with the smell. Another great reason to use it in your compost pile is because it will kill maggots. Maggots are just disgusting little creatures and so not having them infesting your compost pile is definitely a plus! One way I’ve heard of deterring rodents like mice and rabbits are with essential oils such as lemon and peppermint. While I’ve never personally tried it, I read about it at Natural Living Ideas and it is something I’d like to try out. You don’t want to just sprinkle essential oils around on the ground though. DE retains the scent of the oils for longer periods and so if you mix a few drops of your essential oils into bowls of DE and set them around your garden, rodents will smell it and more than likely be deterred. Diatomaceous earth helps to increase drainage and air circulation within soils and so it is commonly added into succulent soils and cactus mixes which are suited for plants that prefer well drained soil. Diatomaceous earth is not harmful to humans and so you really don’t have much to worry about as you do with chemicals. But there are a few safety measures you can take for caution. I personally have never had any issues with DE and I don’t typically wear gloves or a mask. If you know you have breathing problems or tend to have sensitive skin then it would be smart to be on the more cautious side though. The one thing you may forget as you are spreading DE all over your garden is that there are a few insects that you DO want around. Like bees, lady bugs, and butterflies. We depend on these great insects for pollination. So you should try your best to be strategic about where you apply DE. Since insects will only die from coming into to direct contact with DE, a bee will not die unless it lands in it. Bees, butterflies, and lady bugs all tend to be out during the day so the first caution you can take is applying DE in the early morning and evening when those insects are not flying around. The next step you can take is only applying it to the bases of plants and around the soil of plants. Don’t apply it to flowering parts of the plants where insects are pollinating. But as long as you’re cautious with where you are spreading your DE, you should have no problems with killing the insects that you actually want. Diatomaceous earth garden uses are pretty much endless. It’s the cure-all for so many garden problems and that’s why I always keep it on hand. Whether it’s killing pests, taking away odors, deterring rodents, or helping your potting soil, DE is a simple and effective product. If you have chickens it is also a great product to use around the chicken coop. 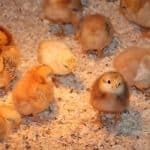 Check out 3 Benefits of Using Diatomaceous Earth for Chickens. Will the diatomaceous kill snails? With all the rain we’ve had this year they are out in force. My Iris are just starting to bloom and they are covered with spots and holes where the snail are eating. Since this are started from Mama’s plants there on the ranch I don’t want to lose them. Yes it will kill the snails! You can spread it all around the iris’s to make a border around them and then when the snails go through the DE it will kill them. Then you can also sprinkle it on the iris plants just avoid sprinkling it directly on the flower. You can also get some slug bait and make a border around your plants so the snails go through it on their way to your plants. I’ve had snails really bad this year too!